Their tangy taste and revival of an ancient food practice are undoubtedly part of the allure of today’s fermented-foods trend, but their touted health benefits also are making foods such as kombucha, kefir and kimchi attractive to the masses. Whether on store shelves, at farmers’ markets, or “cultured” at home, fermented foods are making a comeback that could be good for the American gut, the experts say. “Humans are as healthy as their gut flora,” says Dr. Jacqueline Fields with The Healing Gardens in Fort Collins. “Fermented foods provide the body with good bacteria that cannot be duplicated in a pill,” says Fields, who frequently recommends her patients substitute kefir, a fermented beverage, for probiotic pills. Here’s a quick primer for anyone interested in joining the fermented-food trend. “In the U.S., we’ve modified our foods and lifestyle so much, they’ve been stripped of good bacteria,” Fields says. Adding fermented foods to the diet can boost immunity and decrease inflammation, with some studies suggesting they might improve conditions such as colitis, IBS, leaky gut, gastric reflux and high cholesterol. Fields and Hodkins advise starting with smaller portions – a couple of tablespoons to only a few ounces per day ̶ to reap healthful benefits. Live fermented foods can be consumed daily, but megadosing could lead to stomach pain, cramping or diarrhea. Fermented foods are fine for most people seeking general health support, but those with gastritis, acid reflux, ulcers, and other gastric issues and serious medical conditions should consult their doctor. The following products can be found in the refrigerated sections of regular and health-food grocery stores and are now frequently available at restaurants. Yogurt, a cultured dairy product containing probiotics, is widely popular today, including regular and Greek versions. Skyr (pronounced “skeer”), an Icelandic-style yogurt that’s thicker, more protein-rich and lower in fat and sugar, is also hitting the U.S. food scene. When purchasing any yogurt, look for quality brands that are labeled with having several live and active probiotic cultures, says Weir. Kefir (pronounced “kee’- fur,​” “kuh-feer’,” or “keh’-fur”), a tangy dairy beverage, is most-commonly known as a “drinkable yogurt.” It originates from the Caucasus Mountains in Eastern Europe and is considered a super power in probiotics, because it has more microflora than yogurt ̶ about 50 strains, including bacteria and yeast, says Hodkins. 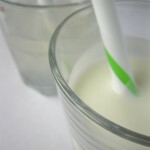 Traditional kefir is cultured with “kefir grains,” a culture of lumpy clumps of beneficial bacteria and yeasts that technically aren’t a “grain.” ​Dairy kefir is a good source of calcium and protein and is traditionally made from cow’s or goat’s milk, but now almond and soy milk varieties are available. Water kefir is a lighter drink made from kefir grains​ (small, translucent-looking crystals) fermented in sugar water, juice, or even coconut water. 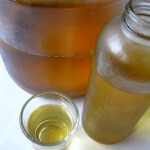 ​ Water kefir also provides more bacteria and yeasts than yogurt, says Hodkins. It is easily home-fermented, and ​fruit-flavored kefirs make a nice alternative to sodas. Kombucha, a fizzy, slightly vinegar-like fermented tea, has its origins in ancient China. It was traditionally made with black tea and sugar, but today green tea and honey are also used. Kombucha generally has a handful of beneficial bacterial strains and is a good source of B vitamins, says Richardson. Trace amounts of alcohol can be found is some versions. Fields encourages people to opt for commercially available kombucha, since it is made in more carefully-controlled environments and also is less likely to harbor bad bacteria. Kvass is a less-well known fermented beverage originating from the Ukraine and Russian area that was traditionally made from stale bread, says Hodkins. When left to ferment, it becomes an effervescent live-culture beverage tasting similar to beer without high alcohol content. ​ Modern “kvass” also refers to sour tonic beverages,​ fermented from vegetables and fruits, that are not the bread-based version. 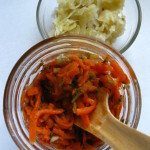 Sauerkraut, kimchi and other fermented vegetables are all microflora-rich when they are made using traditional lacto-fermentation techniques that combine vegetables and salt to produce naturally-occurring healthy bacteria. The salt helps stave off inhospitable bacteria, says Richardson. The process does not involve any dairy; the “lacto” refers to the lactic acid produced during fermentation. Nearly all vegetables can be fermented in this manner. Cabbage is usually a favorite because it keeps its crunch – try raw sauerkraut and spicy Korean kimchi. Fermented pickles, hot peppers and radishes are also popular. Fermented soy products receive mixed reviews from wellness experts. Tempeh, a fermented Indonesian cooked patty, is loaded with protein and popular among vegetarians, says Richardson. Miso, a fermented soy paste with live cultures, is used to make miso soup and salad dressings. Fields cautions that most of the soy consumed in North America is highly processed, genetically modified and pesticide-laden. There are, however, organic/non-GMO versions on the market, as well as soy-free versions of tempeh and miso made using alternative beans and grains. Fermented grains and legumes also provide health benefits for some hard-to-digest foods. Richardson says sourdough bread, flapjacks, and crepes, as well as German pumpernickels, Ethiopian injera flatbread, and Indian dosas, are just a few examples.